On the rare occasions that I travel for work, the discoveries usually take place before the business day begins. I then have to wait patiently until the following morning, or the end of the work day to return to the site and shoot some photos. This was the case recently in St. Andrews By-The-Sea in southwestern New Brunswick on the Canadian shore of Passamaquoddy Bay. 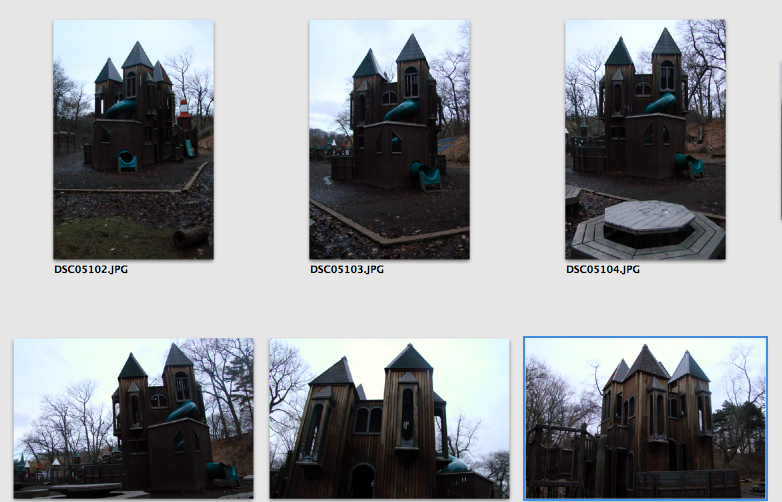 At the St. Andrews Creative Playground, ten towers march skyward creating vertical sightlines for the many walkways, ramps and bridges that connect and lead to a variety of play areas. 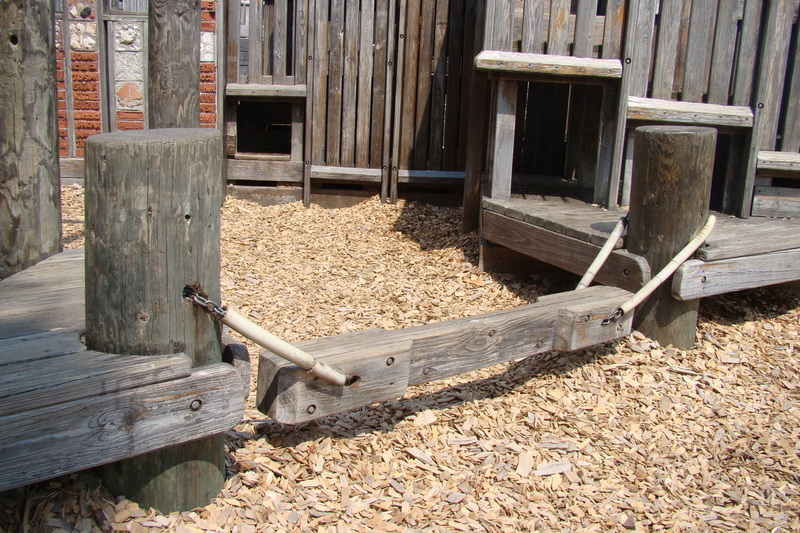 In addition to standard climbing, swinging and sliding stations, there are opportunities to test balancing prowess, play a tune on percussive pipes, let your fingers do the walking on an etched maze, or play tic-tac-toe with wooden blocks. 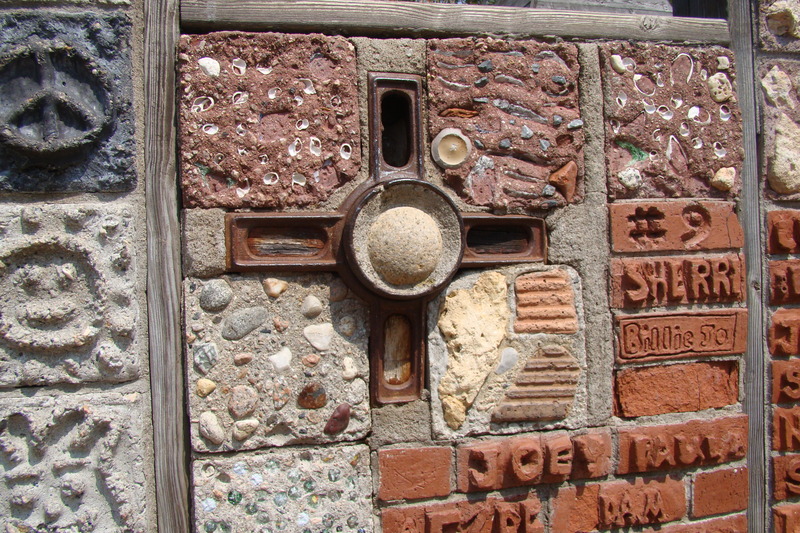 There are wonderful decorative touches throughout the playground including a red-spiked green dragon that wraps around one of the structures, fired tiles and concrete squares with symbols, names and collages embedded in a wall and a do-it-yourself pegboard art station. 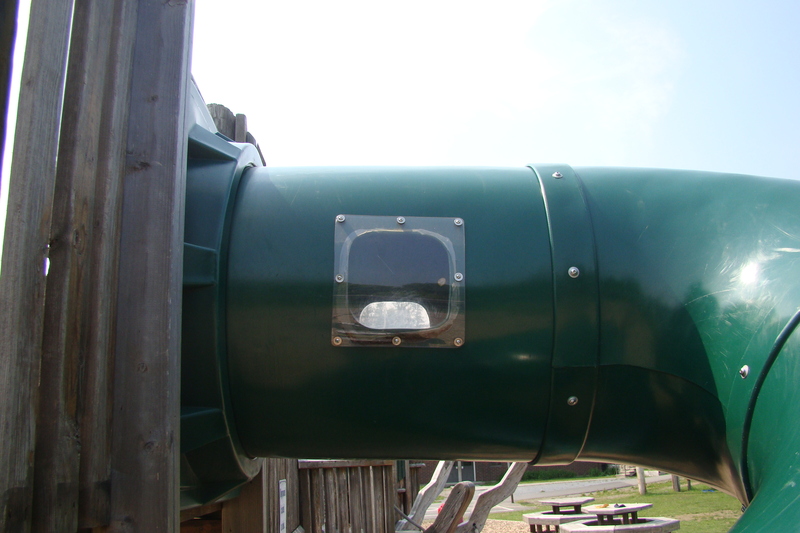 In keeping with attention to details, a standard plastic tube swirl slide has two plexiglass windows installed on either side at the launch point. Small ones can look out and wave before they push off and whoosh momentarily through the darkness to the circle of light below. This is a customized design element that I haven’t seen anywhere else. 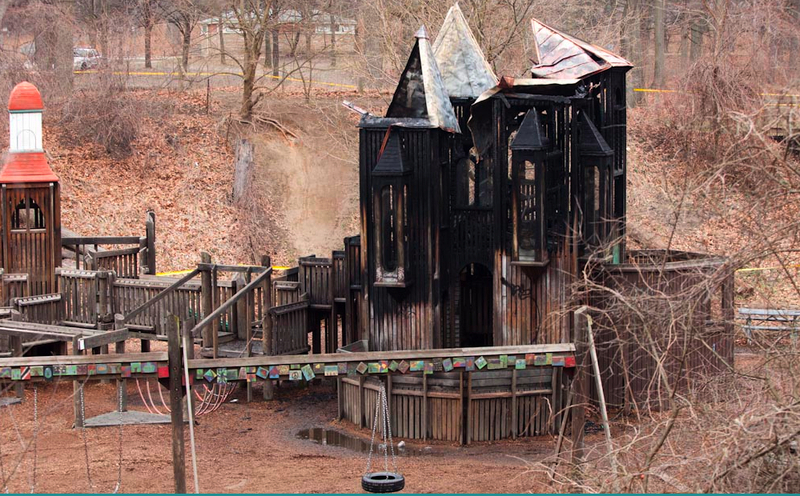 In 1993, Leathers & Associates from Ithaca, New York led the community in the design and building of this playground. Bob Leathers got his start in the playground world in the early 1970s when he was asked to organize people to build a playground at his children’s school. Since then, he’s been to every US state and seven countries with his brand of kid consultation and community build. 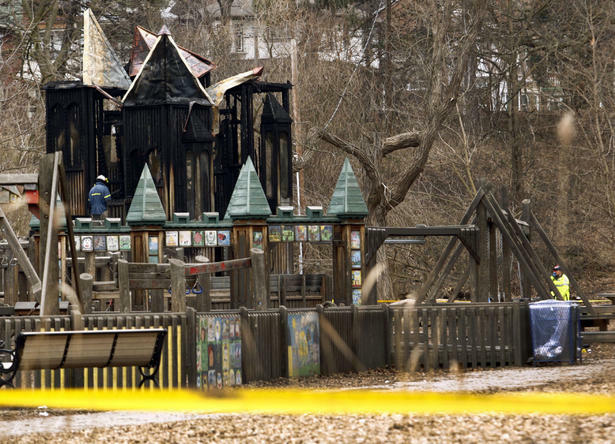 Toronto’s High Park playground is another of his Canadian creations. 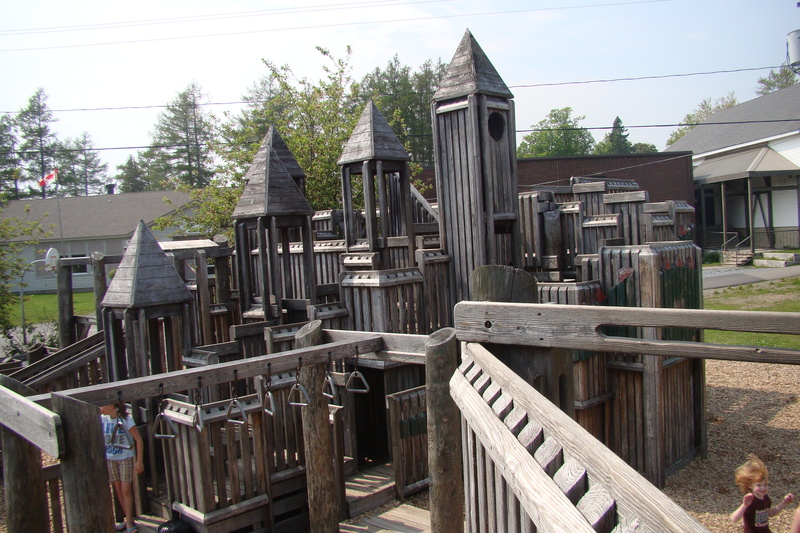 With an estimated lifespan of 25 years, there is still time for lots of laughter and play at the St. Andrews Creative Playground. 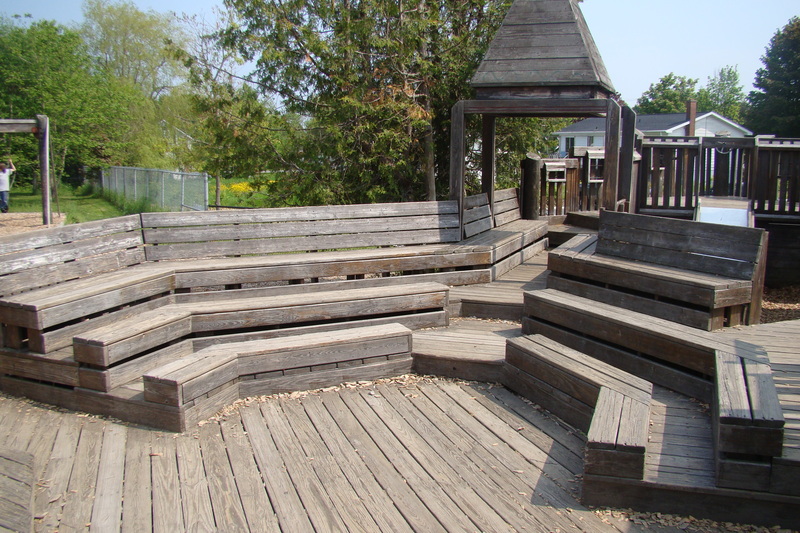 If you’re in the neighbourhood of a playground designed by Leathers & Associates, take a moment and let your kids explore, run and play. They’ll love you for it. Click on photo above for flickr slideshow.